Luton boss Nathan Jones has confirmed that Alan Sheehan will skipper the team this season. 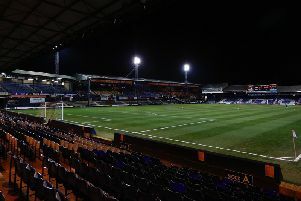 The 31-year-old was Jones’ first addition when he took charge at Kenilworth Road over two years ago, signing initially on loan in January 2016 and then making the move permanent during the summer. He’s the one that controls my dressing room and looks after people. He has gone on to make 107 appearances, scoring seven goals and will now take the armband which was vacated by the departing Scott Cuthbert. On his appointment, Jones said: “He’s the club captain, we’ve got good competition there, so if for some reason he didn’t play then we have a number of leaders. “But he’s the one who I’ve got a good relationship here with, I’ve got a good relationship with all of them, but he’s the one that controls my dressing room and looks after people.